I was about to say that the LSO excels in music such as this, but then it tends to excel in pretty much any kind of music, especially given the right conductor. Nevertheless, its trademark precision was vividly on display in a duly wild – controlled wild – performance of Night on the Bare Mountain. It was fantastical too, Mussorgsky’s obstreperous lack of development in a Germanic sense largely vindicated; there are other ways for music to unfold in time. (Yes, I know what that says about my sense of musical gravity, about my construction of a centre and periphery; so be it.) There was ‘Russian’ soul too, especially from the lower strings. Philippe Jordan seemed to relish, as well he should, this Rolls-Royce of an instrument with which to play. Does it all quite hang together, or did it on this occasion? I am genuinely not sure. It was fun, though. The sound Jordan and/or Szymanowski conjured from the orchestra for the latter’s Second Violin Concerto was no less fantastical, but cooler, darker, less opulent: definitely a later Szymanowski than that of the First – and indeed of much of his most popular music. Its hard edges glistened, whilst Nikolaj Szeps-Znaider – he has reverted to the fuller version of his surname – spun a more typical, yet no less alluring golden thread. At least that was the early balance of play; one of the fascinations of this fine performance was the constant shift in such relationships, even in standpoints and perspectives. A different, later mode of definition endured: when those great washes of sound came, they were more golden than kaleidoscopic, more damask than magic carpet. This was a dramatic world born in the Tatras Mountains rather than Sicily. Earthy mazurka rhythms, spellbinding solo virtuosity, a languor closer perhaps to Lulu than to Pelléas, definitely of a world following King Roger: these were not mere incidental points of interest but crucial to the revelation of musical structure in time. It is a structure, a work sui generis and sounded as such. Szeps-Znaider’s Bach D minor Sarabande encore proved impressively variegated, even febrile: here was something still more vulnerable, with a little of the viola or even the cello to its musical soul. Tchaikovsky’s Fifth Symphony opened with a tone more rounded than that we had heard in Mussorgsky. That is, of course, partly a matter of writing, but also of performance. Superlative clarinet duo playing from Chris Richards and Chi-Yu Mo would not be the least of the LSO delights on offer here and throughout. Many thanks should also go to the telephone improvisation at the close of the first movement introduction. Jordan imparted a sense of urgency, of fate, to the exposition proper, the LSO cultivated and incisive. Soon, however, that drive tilted into the merely hard-driven, not helped by the congested Barbican acoustic. (How desperately we need a new hall!) If only his structural grasp or communication had been so unfailingly excellent as the orchestral playing. It was certainly not without merit, notably eliciting a fine sense of return at the onset of the recapitulation and true defiance in the closing bars. Nevertheless, the music found itself on several occasions driven or held back without evident reason: this in a Tchaikovsky symphony more in need than any other of a Brahmsian mind. The slow movement’s horn solo (Guglielmo Pellarin) proved delectable, yet was ‘only’ first among wind equals. Save for a few passages of excessive moulding, Jordan shaped Tchaikovsky’s music well here. Had he let it sing more freely, it would have proved more moving still. The waltz was graceful, finely detailed, if not especially warm, although again the Barbican surely had a hand in that. There was no denying, however, the richness of the LSO string sound at the finale’s outset. Very much on the fast side, it nevertheless worked in a straightforward fashion. A little more relaxation might not have gone amiss, but this was perhaps the strongest of the four movements. If its virtues could have been read back into its predecessors, the first movement in particular, it would surely have been to the benefit of the whole. It was with an introspective, almost world-weary introduction that the Quatuor Voce opened this Wigmore Hall Sunday morning concert – until, that is the first, but not the last, of Beethoven’s sforzandi disrupted yet ultimately confirmed that mood. A sense of hard work continued until the exposition proper of the so-called ‘Harp’ Quartet, which rightly came as relief but not, given Beethoven’s extraordinary motivic concision, relaxation. A furious yet still introverted development, save perhaps for the ‘harp’ music itself, prepared the way for the return, so much of which it coloured and indeed generated; dialectical contradictions and all, it was properly a second development. Just as important was a sense of humour. A songful slow movement was situated somewhere between earth and heaven; the more one listened, the more was going on, intellectually and emotionally. A hard-driven scherzo certainly offered contrast, if not quite the sense of exhilaration for which some of us might have wished. Its trio’s brazen modernity ultimately proved, for me at least, more invigorating. An apparent glance back to the eighteenth century from the variation finale’s theme offered further contrast, but nothing is ever quite so easy as that in Beethoven. Not the least virtue of this performance was that, even if one might not have agreed, it drew one in to listen. I have heard more ‘sublime’ accounts of op.74; this, however, made no apology for its difficulty. Ligeti’s First String Quartet had originally been programmed to come first. I have little doubt that reordering was the right thing to have done. Although there was nothing to complain about and much to praise in the Beethoven, it was this that received the more intense performance, truly grabbing one by the throat and not letting one go. The weird unease of Ligeti’s opening scales here sounded almost as if an inversion of Wozzeck’s drowning. There was perhaps something of Bartók’s night music to the melodies and fragments heard above. Brief community in fury prior to dialectical breakdown, and so on, had one inevitably think of Beethoven’s methods too. Here, as the quartet progressed, we heard not only reinvention of quartet writing – many composers have accomplished that in one way or another – but also reinvention of quartet tradition, a far sterner task. One reheard Beethoven, Berg, and Bartók – as well as Ligeti. The Tempo di valse section’s loucheness offered ample opportunity, well taken, for both relishing disintegrative tendencies and keeping them in check; such is surely the game. There was humour too, as in Beethoven, perhaps even an additional sense of anarchic craziness. What a mind, what an ear! As an encore we heard Hamza El Din’s Escalay (‘Water Wheel’), part of a current project, ‘Itinéraire’, in which the Quatuor Voce looks at links between written and oral melodies. If insubstantial, it had atmosphere. The Ligeti was the thing. In Aix this summer, I heard – and enthused about – Charlotte Bray’s new work for solo viola, In Black Light. I was therefore very keen to hear a concert back here in London, largely of her music; moreover, I was certainly not disappointed. Invisible Cities, the first piece on the programme, is also for viola, albeit with piano. Barbara Buntrock and Huw Watkins gave a performance full of nervous energy. Its first movement of four, marked ‘vivid, frenetic’, certainly proved vividly variegated, opening with memorable contrast and synthesis – I think – of post-Schoenbergian harmonies with jazzy-Gallic syncopation. 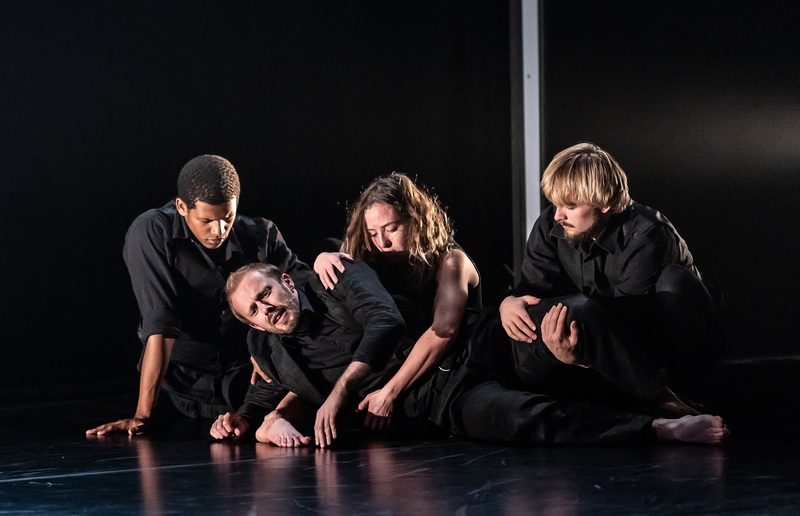 ‘Unnerved, intimate’ is the marking for the second movement and so again it proved, with an intangible yet unquestionable sense of development from its predecessor. Buntrock truly dug into the strings, preparing the way for what I hope it is not too Romantic to describe as organically developing third and four movements, the latter climactic in both anticipated and unanticipated ways. Piano repeated notes offered counterpoint according to various understandings, viola harmonics seemingly generative of new yet related material, music and performance (piano and pizzicato viola) eventually fading into nothing. Beyond, for solo violin, was sensitively and indeed commandingly performed by Phillip Bohnen. It offered a nicely elegiac pendant to the preceding, longer work, considerable use of the violin’s lower register offering both continuity with and difference from the viola. Further continuity was to be found in an equally keen sense of longer line, silence included: again in a fashion reminiscent of, yet never to be assimilated to, much Austro-German Romanticism. Emilie Meyer’s 1857 Piano Quartet in G major proved the only disappointment. Such was not a matter of performance, the Maniari Piano Quartet doing everything one could reasonably have asked for. Although we could enjoy a lovely chamber music sound, there was little to the work 'itself'. In the traditional four movements, it fared best when songful: pleasant enough, if hardly individual of voice. A few scattered passages aside, for instance the opening of the scherzo, the composer struggled to impart much in the way of formal dynamism or even coherence. What might have passed muster as background music overstayed its concert hall welcome. Following the interval, however, there was to be more Bray – and most welcome it proved. First up, Watkins returned to perform Oneiroi for solo piano with what seemed to me an ideal match of passion and humanity. According to the composer, ‘its muse was principally other music, that of Hans Werner Henze and Oliver Knussen particularly’. Ghosts of Henze’s piano music I certainly heard: perhaps again that post-Schoenberg inheritance, or maybe that is just me? There seemed to be at work a fruitful, generative dialectic both in work and performance between (surface?) freedom and tight, underlying organisation. On the Other Shore, for solo cello, received a fine performance from Isang Yenders. In Bray’s words, it ‘represents an idea … of observing something from afar whilst not able to get close to it’. That comes very close to what I imagined I heard: a sense of intimacy at distance, of coming into and falling out of focus. As with the earlier piece for solo violin, both the long line and its possible constructive allusions and illusions came strongly to the fore. Finally, we heard Zustände for violin, viola, cello, and piano, performed by the Mariani players. Its three movements take inspiration from various ‘states’ – as in the title – of ice, the first ‘Brittle, frozen, slowly disintegrating’, the second ‘Freely, fiercely independent’ as a ‘majestic, lone iceberg’, the third ‘Bright, alert,’ located, we are told, ‘within the highly energised, at times threatening, environment of an ice field’. There was certainly icy tension to be heard at the opening, imbued with a paradoxical, productive sense of desire, albeit thwarted, to suspend time. It moved, and rightly so. The piano was silent for most of the second movement, which seems to rise, aptly enough, from the cello line up. It is glacial, perhaps, in a way not dissimilar to some of Bartók’s music. Bray describes the final movement as ‘varied and unpredictable’. Once more, so it sounded in performance before I had so much as looked at the programme note. Control of material and the expressive means to which such control is put were never remotely in doubt. Zustände and other solo and chamber works (Beyond, Invisible Cities, and On the Other Shore included) may be heard on a new RTF Classical CD: on this basis, highly recommended! 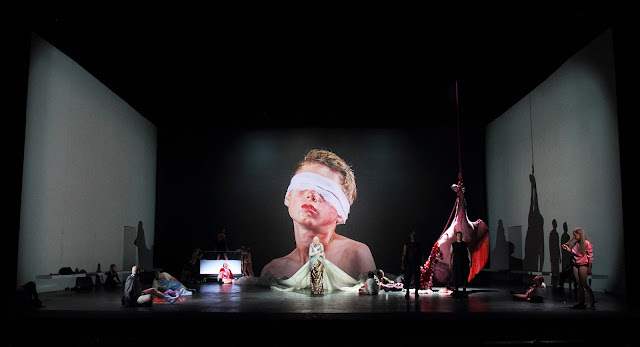 Dusapin’s Orpheus or rather Eurydice, opera, the lovers abstracted to Her and Him, Lei and Lui, with shadowing support from ‘The Others’ (Gli Altri), takes its place in perhaps the most venerable of all operatic traditions. Orpheus, son of Calliope, Muse of Epic Poetry, and, according to some tellings of the legend, Apollo’s too, tamed animals, even charmed Hades itself, through performance on his lyre – here suggested, yet perhaps not merely to be identified with, the oud, Rihib Azar’s part and performance evocative, generative, and questioning towards the close. Orpheus’s purview – and that of Greek mousikē more generally – was greater than what we, in an age cursed by specialisation, might consider to be ‘music’: he was poet, enchanter and prophet; he communicated the qualities of all the Muses through his identity as a musical performer. Where, however, is Eurydice in all that? As ‘traditional’ a supportive figure, a victim, as ever? Here she is granted, or better she assumes, newfound agency. As Dusapin, quoted in the progamme, put it: ‘I sincerely wanted to do something with this myth, and yet I wasn’t really attracted to a story where a woman dies, engulfed by flames, sacrificed by the stare of an impatient man … So I thought: “What if the woman knew? And what if she suddenly decided not to go back towards the light?”’ Just as composers from Monteverdi to Birtwistle have retold, remade the myth in the light of their own concerns, the concerns of their times too, so have Dusapin and a splendidly integrated team of performers. Worthy successors to the not inconsiderable team of Barbara Hannigan, Georg Nigl, Ensemble Musicatreize, Ensemble Modern, and Franck Ollu, Jennifer France, Johnny Herford, EXAUDI, the London Sinfonietta, and Geoffrey Paterson offered an outstanding musical performance, ably shadowed, incited, and criticised by a fine team of dancers. One had little doubt that the Sinfonietta and Paterson were not only presenting what one was ‘supposed’ to hear, but in the emphatic sense performing it, bringing it into life and revealing its form in the dramatic here and now. Comparisons make little sense in the case of an artist such as Hannigan; perhaps they do far more rarely than many of us would care to admit. 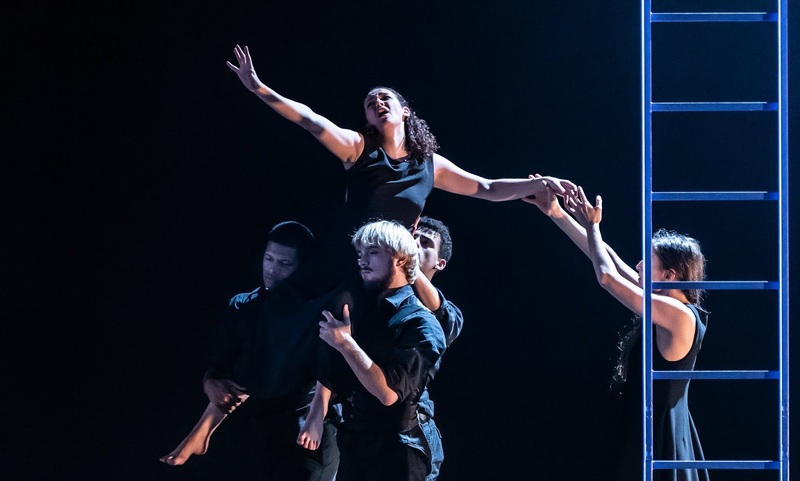 France’s performance had us believe in this particular Eurydice, her particular concerns and ‘character’: what could be more feminist than that? Herford cheerfully yet wistfully consented to and furthered a remodelling of Orpheus’s role that leaves us all the richer. With none of Nigl’s sometimes disconcerting idiosyncrasies, he – as indeed did the rest of the team – suggested that we are all the richer for this recent chapter in the progress of the myth. A subtly raucous – yes, that is intended – duet between trombone and oboe; a recognisably celestrial yet menacing glimpse of heaven; a (false?) witness of the clavecin ‘past’; an approach to an expected final unison that proved not to be such at all: these and many more such moments attested to the fleeting quality of memory, the necessity of multiple standpoints in and of the present. In a new production by James Robinson, conducted by John Wilson, ENO performs Porgy and Bess for the first time. On the opening night it was very well received, in many ways rightly so – although I had my doubts too, especially earlier on. I shall come to those later, but first let me say what a joy it was not only to hear such an array of fine vocal performances but also to see such fine, committed, sincere acting from an ensemble of singers and actors, many making their debuts with the company, brought together specifically for this purpose. If there were occasional slight shortcomings, not least a little too much occluded diction from Nicole Cabell as Bess, they were more than made up for by that strength of ensemble. Cabell’s performance was otherwise strong – strong in portraying vulnerability, even helplessness, that is – and was well matched by the humanity of Eric Greene as the ‘cripple’, Porgy. 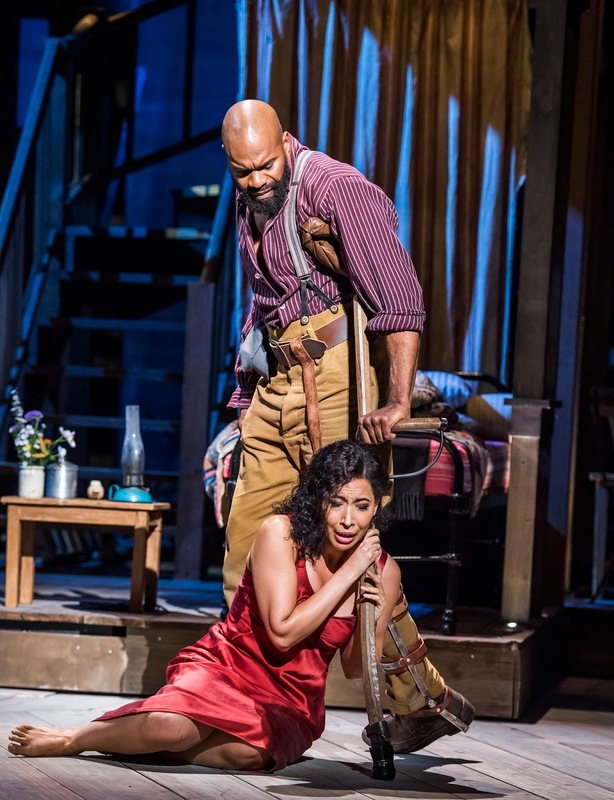 Nmon Ford’s toxic masculinity, as we should now call it, as Bess’s former lover, Crown, proved an object lesson in the marriage of words, music, and stage presence. The drug dealer Sporting Life’s insidious, irredeemable amorality, his ‘lowlife’ quality, to borrow from the text, was memorably captured and communicated by Frederick Ballentine. 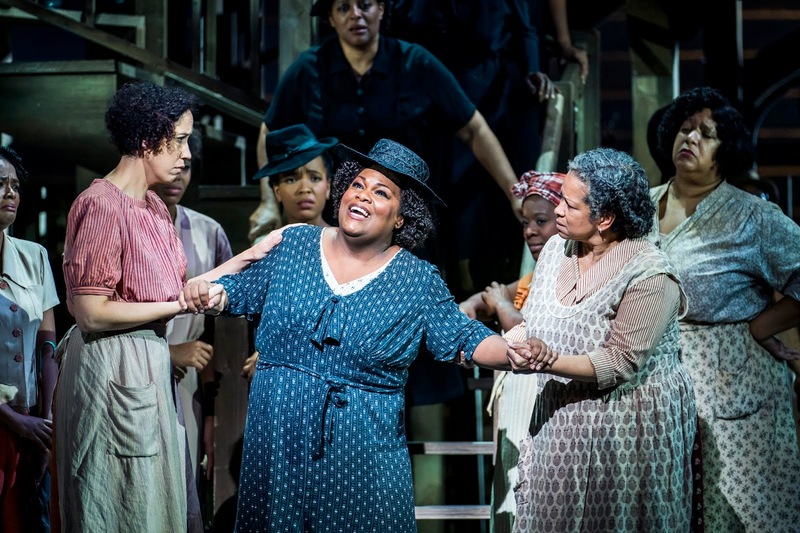 Tichina Vaughn and Latonia Moore sang their hearts out and wore their not uncomplicated consciences on their sleeves as Maria and Serena. I could doubtless continue down the cast list, but should end up merely replicating it. There was no gainsaying, moreover, the excellence of the ENO Orchestra, which was surely enjoying itself greatly. Likewise no one could argue with the results obtained from them by John Wilson: a film-score sheen second to none, and certainly not just from the strings. At least no one could in terms of getting what he wanted, something I have little doubt would and should be considered ‘authentic’ by those who care about such matters. For me, however, there were times when something a little more variegated would have been welcome. It is a lengthy opera, too lengthy for its material; generally slow tempi, married to almost unrelievedly opulent sound, exacerbated rather than relieved. There were, of course, passages of great incisiveness too. A few more gradations in between would have done no harm. Or would that actually have been possible? I cannot, I am afraid, hear this to be the masterpiece some claim it to be. Even if it were cut considerably, that still leaves something of a problem in a ‘symphonic’, better connective, ambition on Gershwin’s part that is at best intermittently realised. He is surely more a composer of songs than a symphonist, or indeed a post-Wagnerian musical dramatist, whatever apologists might claim to the contrary. Moreover, musical characterisation is often weak, at least earlier on. By the second act, the composer seems to have progressed considerably. Earlier on, he seems far better at communicative atmosphere, at dramatising events. There are many opera scores, however, that fall short of Figaro, Parsifal or Wozzeck. We tend for the most part to take them for what they are, rather than exercising ourselves unduly about what they are not. (Or if we do not, it tends to be indicative of some other problem we have with them, whether intrinsic or of taste.) 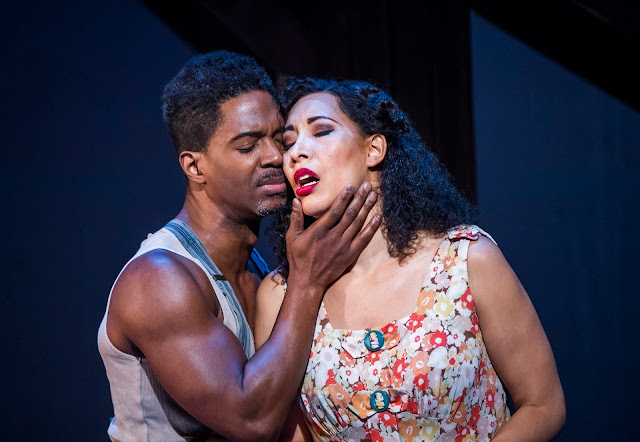 More of a difficulty, I think, lies in the libretto and, more generally, in the (doubtless well-intentioned) racial and gender stereotyping – one might well put it considerably more strongly than that – of the work as a whole. It is there that a production should come into its own, offering a critical stance or at least an awareness of the problems. Robinson’s blithe production, however, almost screams ‘Made for the Met’. (This is a co-production not only with New York but Amsterdam too.) It is well executed, not least on account of Dianne McIntyre’s choreography, but appears either stuck in a time warp or better suited to expectations geared towards a ‘West End spectacular’. Following the ineptitude of ENO’s current Salome, there is something, indeed much, to be said for basic, wholesale competence. That is surely, though, no excuse for flattering an audience into thinking this a matter of harmless ‘entertainment’. Mine will, I am sure, be a minority report – and I repeat that there is much in a straightforward fashion to enjoy, should enjoyment be one’s sole or principal criterion. As the opera is what it is, so am I who I am. I increasingly find it difficult to take theatrical performances that might well have looked splendid half a century ago and might even do so on film now, yet which claim to be of the here and now. Too much dramatic water has passed under the bridge. Moreover, whilst I try to keep an open mind, my ears are not the same as everyone, or indeed anyone, else’s. When, for instance, I hear the banjo song, ‘I got Plenty o’Nuttin’,’ I think, doubtless idiosyncratically, of Blaze’s ballad from Peter Maxwell Davies’s The Lighthouse. That says nothing about either, if a little about me. Why mention it, then? Only as a banal illustration of our coming to artworks – not only to artworks - from different standpoints and situations. Perhaps, knowing as I do of Schoenberg’s admiration for Gershwin – more circumscribed than some would allow, yet no less genuine for that – I wanted too much to listen with (post-)Schoenbergian ears and found myself a little disappointed. It has real virtues and certainly stands several notches above the fashionable bloated nonsense of Korngold and friends. Any reservations I entertain are unlikely to prevail over someone who finds more in the work than I do, nor am I seeking to persuade, merely to try to account for my own more equivocal reaction. Perhaps I should find more in a subsequent performance; perhaps it is simply not for me. If it is for you, and if you do not mind what is to my mind an absurdly ‘traditional’ style of staging, then you will find much to enjoy. I cannot help but wish, however, that the production had shown the courage to adopt so much as a point of view or to interrogate the work, to ask what it might fundamentally be about. That, surely, would have been to take it as seriously as Gershwin’s ambition demands. After the relative disappointment of the first of these two Leipzig Gewandhaus concerts, that disappointment relating to Andris Nelsons’s conducting rather than the orchestra itself, there came a second chance. I wish I could say that I had responded more warmly. There were, as before, sections of the concert to which I could – and did. However, Nelsons’s Mahler ultimately proved no more convincing than it had before, the final movement of the First Symphony as vulgar and uncomprehending a display as I have heard for a long time. An audience that once again seemed to value excellence of orchestral execution and sheer volume of sound rather than formal, interpretative coherence clearly felt otherwise. Again I thought of Beecham: ‘the English may not like music, but they absolutely love the noise it makes’. Perhaps Nelsons qualifies as an Englishman too, at least when it comes to Mahler. His taste in new music seems odd too. Try as I might, I could not make anything much of Andris Dzenītis’s Māra – although, as ever, with a new work, that may well just have been my fault. Its first performance had been given by the same forces in Leipzig five days earlier; this performance certainly sounded committed and incisive. The title apparently refers to a notion of divine omnipotence: according to the programme note, ‘the entire physical, visible, audible and tangible world, the materialisation of all spiritual power’. Dzenītis can certainly write for an orchestra in a ‘traditional’, more or less Franco-Russian way: the quarter of an hour or so piece proved ‘colourful’, ‘ritualistic’, ‘pictorial’, ‘dramatic’, and so on, in predictable, generic fashion. Certain passages grabbed the attention: repeated pitches redolent of Morse Code, repeated figures that briefly offered something intriguingly hypnotic. What it all added up to, though, I could not say. ‘Eclectic’ would be one way of putting it, so too ‘at least twice as long as it need have been’. A solo bass clarinet solo at the close may or may not have held some programmatic meaning. According to the note, the piece allowed ‘runes to become visible in the score’. Perhaps they were audible too; I am afraid I have no idea. Tchaikovsky made much more sense to me, Kristine Opolais on superlative form. In Liza’s third-act arioso from The Queen of Spades and the Letter Scene from Eugene Onegin, she truly brought to life her characters, without context, scenery, or titles. One knew and felt what Liza and Tatiana meant, what their plight was – and could have taken dictation, verbal or musical, from her. Hers were fully gestural performances too, very much those of a classic singing actress. The Gewandhaus Orchestra ‘spoke’ splendidly too: this, after all, is an orchestra that plays for the Leipzig Opera as well as the concert hall (and the Thomaskirche). If only Nelsons and/or Opolais had not indulged in quite so extreme gear changes towards the end of the Letter Scene, and if only he had not driven the Polonaise so hard, these would have been ideal performances. No one, however, would have been seriously disappointed. The first movement of the Mahler symphony opened with great promise: opening string harmonics (and their later repetition) spot on, without sounding clinical, woodwind full of colour and character, offstage brass as well balanced as I can recall. There was first-rate audience bronchial interjection too, for which many thanks. Later on, an overall freshness of spirit was apt, winning, invigorating. Antiphonally placed first and second violins worked a magic that was little short of revelatory, whilst the tender tone of the Leipzig horn consort was simply to die for. Soon, however, Nelsons began to mould the music excessively, leaving one longing for the ideal of a Kubelík. (Few are the occasions when that conductor proves anything but ideal!) Climaxes grew more and more brash, in quite un-Mahlerian fashion, once again suggestive of a conductor more at home with Shostakovich. Formal coherence had soon gone quite out of the window too. The Ländler likewise opened well: as vigorous, as earthy as I have heard, the Leipzig strings digging deep indeed. As it progressed, however, it seemed too determined by rhythm, too little by harmony: this should not be a zero-sum game. There was alienation in the Trio, if not quite enough, the material often sounding oddly close to Bruckner. Irony does not seem Nelsons’s strong suit. Nor was it so in the third movement, its weird echoes of Mendelssohn’s Midsummer Night’s Dream apparently in spite of the conductor rather than on his account. There was no gainsaying, however, the excellence of the Gewandhaus Orchestra’s soloists here. It was a pity that Nelsons pulled around the Klezmer and other contrasting material so wildly; soon it made no sense at all, a mere succession of moments. One could hardly have wanted a louder, more emphatic opening to the finale; many of us indeed might have wished for something less ear-splitting. Such, however, was to be the order of the day, with extreme contrast that had the audience ‘excited’ in its seats. I felt merely bludgeoned. Had there been something in the way of formal coherence, it would not have been quite so bad; in its absence, this glorious movement felt interminable. Bizarre tempo changes added further frustration. What a waste of a great orchestra. 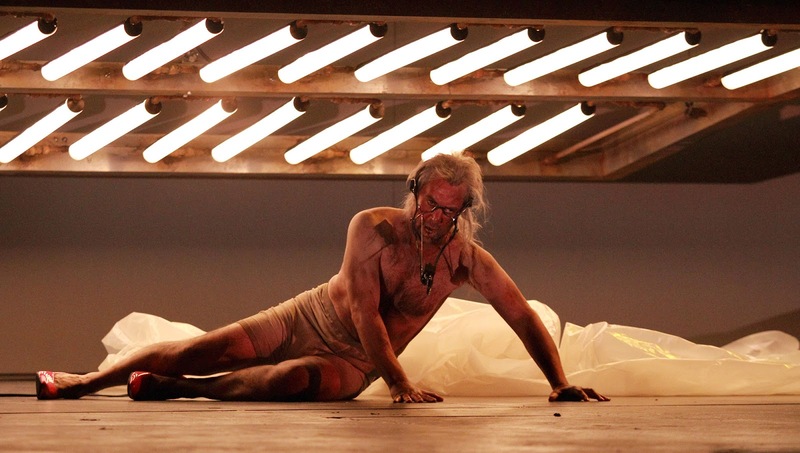 One can only be grateful for the performances that Bernd Alois Zimmermann’s centenary year has occasioned. This was my second hearing this year of his Trumpet Concerto, ‘Nobody knows de trouble I see’, the first also having been from Håkan Hardenberger, albeit in Vienna, with the Vienna Symphony Orchestra under John Storgårds. One fears that 2019 will bring nothing at all, but then, as things stand, 2019 seems destined to bring catastrophes far worse than that. We should, I suppose, enjoy the visits of fellow European orchestras whilst we can; soon enough it will be wall-to-wall Vera Lynn tribute acts, a spot of scavenging at the local rubbish dump, and the occasional rat thrown our way by hedge-fund billionaires for gastronomic delectation. The Zimmermann was certainly the more successful performance on the programme, not only for Hardenberger, but also for the Leipzig Gewandhaus Orchestra and, especially, its new Kapellmeister, Andris Nelsons. Its opening was taut, full of suspense, germinative – and not just the opening. Hardenberger, virtuoso musician that he is, played his part as the repertoire work it is for him and should be the rest for us. Both the pleasure and the difficulty of giving birth to the full chorale/spiritual tune were apparent and, crucially, felt. The menace of dark jazz sounds and the fantasy of ballet, and vice versa, paved the way for a full-scale riot of orchestral polystylism, tensions boiling over into chaos somewhat beyond the ‘Ed Miliband variety’, if perhaps less alien, alas, to those of us remaining, as it were, in the land of Theresa May and her multiple hostile environments. Zimmermann’s instrumental doublings, triplings, and so forth sounded more revelatory than I can recall, every bit as integral to work and performance as if they had come from Bach or Bartók. Swing rhythms did their work, of course, but so too did quite magnificent control of the orchestral volume, as if he were twisting the dial on a hi-fi system, by Nelsons. There was something uncanny to that evocation of both ‘real’ and the ‘recorded’ things: a positioning of ourselves and our music in what Zimmermann would later call the ‘sphericity of time’. Hardenberger’s final statement of the spiritual in full bore witness, as it must. But who in our time, any more than in Zimermann’s, will listen, truly listen? The Nelsons way with Mahler’s Fifth Symphony proved remarkably popular with the audience, many of whom rose to their feet at the close. I could not help but recall Thomas Beecham’s quip that the English do not like music, but rather the noise that it makes. It had some wonderful moments, even passages, but I struggled in vain to hear a sense of irony, a sense of Vienna, even, for some of the time, much sense of coherence. This is an extraordinarily difficult symphony to bring off convincingly; not the least of the conductors I have heard fall considerably short here has been Daniel Barenboim. Of the many intimations of the Second Viennese School, I heard nothing. Nelsons, not unlike Barenboim, seemed determined to turn it into something that is not, albeit in this case something stranded between a generic nineteenth-century symphony and Shostakovich. The first movement perhaps fared worst. Insofar as there were a basic tempo at all, it felt incredibly slow: quite a trudge, yet it was never clear to what end. Then suddenly, an eruptive first episode went to the other extreme, contrast entirely supplanting connection. Symphonic thread, what symphonic thread? Nelsons seemed intent on micromanaged moulding of phrases too, reminiscent of Simon Rattle over the past few years. Conductors as different as Leonard Bernstein and Pierre Boulez have shown that there are many ways to have this music work as a symphony; Nelsons, apparently, had other ideas. That said, a few liminal passages – a magical timpani solo, for instance – truly told: in themselves, though, without necessary context. The second movement proved similarly contrast, except back to front in terms of material, which is as it should be; it also proved more coherent, if still less so than one would have hoped. Again, it was Mahler at his most introverted who convinced most. Nelsons’s brutalising, proto-Shostakovich sound of a brass-led orchestra at full throttle simply sounded mistaken to my ears. Nelsons certainly grasped, however, the structural role of the third movement, the symphony’s second ‘part’, its ambiguity relished. Even here, however, a tendency to hold back phrases to no particular end sounded indulgent and, frankly, irritating. The movement’s closing bars, taken hell for leather without evident preparation, proved merely bizarre, however well played. The Adagietto was taken at an unfashionably slow speed, or so it felt. (I have never been one to consult my watch on such matters.) Nelsons seemed determined to make a meal out of it, often entirely losing its sense, however illusory, of loving simplicity. However gorgeous its final climax may have sounded, I could not help but suspect he might have preferred it to have been by Bruckner. The skies well and truly lifted for the finale, the problem being that there had been almost no preparation in the preceding movement. The Gewandhaus Orchestra relished the controlled abandon of Mahler’s neo-Bachian counterpoint, his good humour – or perhaps his impression thereof. Best of all, the movement unfolded without mannerism. Did the performance add up to more than the sum of its parts, though? At that, as perhaps at our present, seemingly hopeless worldly condition, Mahler laughed. He, after all, knew what it was to be, in that celebrated anti-Semitic phrase, a ‘citizen of nowhere’. Hmmm, oh dear. I think I might sometimes have been able to see what Adena Jacobs was trying to do in this new production of Salome. Who knows, though? I was clearly not its target audience, which would seem to have been an imaginary cohort of teenage girls viewed with extreme condescension and, doubtless, ‘concerned’ contempt. What I do know, however, is that its trashiness was exceeded only by its rank incompetence and incoherence. Quite how or why it was permitted to proceed anywhere near the Coliseum’s stage without, at the very least, radical revision is perhaps the greatest of its mysteries. It begins, if not promisingly, then at least within the realm of dreary cliché: dark, in what appears to be the queue to a nightclub. (Better not to ask too many questions: sadly, it will not be worth it.) That scene disappears, to be replaced by something else: unclear. Perhaps it was inside the club, although it did not really seem to be. People in all manner of peculiar outfits behave somewhat oddly, Jokanaan’s voice relayed quite unforgivably through strange electronic means so as to suggest that David Soar could not sing the role. (For the little while that he was on stage, it was perfectly clear that he could – and did.) For some reason, or none, his words are delivered via a huge video close up of his mouth. A dental surgery Salome: a concept of sorts, I suppose, but soon it is dead. Meanwhile, Salome runs around as if she were an extra hoping for more in a pop video. There is, I grant, the germs of a concept there; like everything else, it is not pursued. And so on, and so forth. Later, however, the real extras appear, in the most embarrassing Dance of the Seven Veils anyone is, I trust, likely ever to see. Salome elects not to take part in that, instead engaging in what seems to be a concurrent one-woman game of rounders. Some smaller ‘twerking’ dancers do, however, gyrating with complete, tedious indifference to the music, to the drama, to everything. There are neither veils nor substitutes in sight. One can, I suppose, understand where such indifference was ‘coming from’. Before that, however, some gunge has been cast around the stage, as if in a half-hearted tribute to the late Keith Chegwin. Oh yes, lest one forget: an enormous headless horse – a reference to My Little Pony (?!) – has been hauled on stage, so that assorted people with nothing better to do may extract entrails from it and, well, sit on it for a while, looking bored. Herod on occasion slightly resembles the (mercifully) late Jimmy Savile: not, I think, by design. He too has a gameshow moment, when he writhes in that gunge: Narraboth’s blood, ‘supplied,’ I later read in the programme, ‘by Pigs Might Fly’. Quite. At the end, he commands her death, but nothing happens. He has long left the stage, and who can blame him? Instead, Salome, held by her mother, standing in front of a large black orifice – at least that symbolism is clear enough – shoots herself. The end. 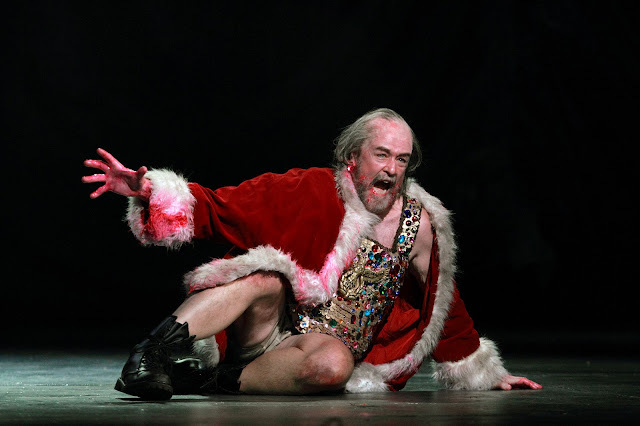 By all means present an abused Salome – it is surely difficult not to – but please: do it better than this or not at all. At least connect something to something else, and perhaps listen a little to Strauss’s score. There is certainly greater craft in the orchestration of any single note, let alone chord, than in anything seen in this hapless farrago. The musicians on the evening deserved far, far better too. 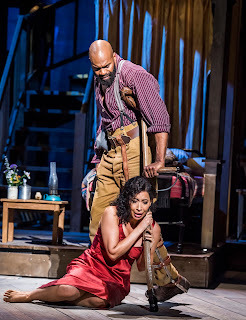 Allison Cook’s voice is perhaps not quite what one expects in the title role, the higher range a little high for comfort, but there was ample compensation with a committed dramatic performance and a richer than usual tone for her insistence on Jokanaan’s head. (I cannot remember the actual English translation, which did well, however much one heard the original in one’s head.) Michael Colvin’s Herod was certainly done no favours by the production, but he responded with great professionalism and artistry, as did Susan Bickley as Herodias. Stuart Jackson and Clare Presland likewise impressed in sensitive – especially given the context – performances, attentive to word and line, of Narraboth and Herodias’s Page. If the ENO Orchestra’s strings were sometimes a little thin of tone when compared to what a German opera-goer will hear in this music, there was also much to be gleaned from the orchestra’s transparency and incisiveness, Martyn Brabbins steering a wise, knowledgeable course through Strauss’s directed phantasmagoria. Alas, such real virtues found themselves quite undone. This will sound banal; indeed, it surely is banal. 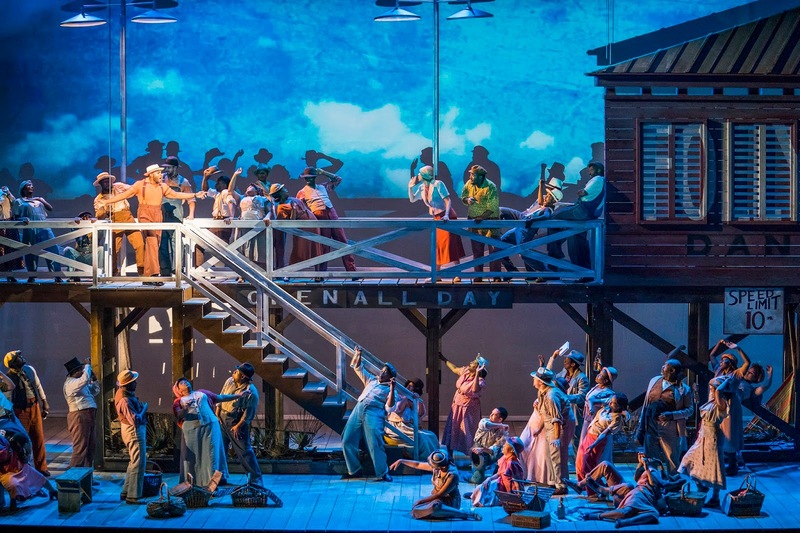 Nevertheless, if you neither understand nor care for an opera, nor apparently for opera in general, would you not be better off leaving its direction it to someone who does? Perhaps you are actually a greater artist than Richard Strauss or Oscar Wilde: probably not, however. Both other stagings of Salome I have seen this year, from Romeo Castellucci in Salzburg and, especially, from Hans Neuenfels in Berlin, had much to say, much to suggest, and yes, much to beguile. Moreover, they offered much, again especially in Neuenfels’s case, to provoke. I appreciate that this production tried to do likewise. Trying, however, was all it proved ultimately to be.